Start off your visit on the 16th (Fri): steep yourself in history at Seurasaari Island and Open-Air Museum, learn more about the world around you at Natural History Museum (Luonnontieteellinen Museo), then take a stroll through Katajanokka, then admire the masterpieces at Kansallisgalleria, and finally admire the striking features of Pohjolan toimitalo. Keep things going the next day: explore the striking landscape of Nuuksio National Park. For reviews, more things to do, photos, and tourist information, refer to the Helsinki road trip planning tool . Kansas City, USA to Helsinki is an approximately 16.5-hour combination of bus and flight. You can also do a combination of bus, flight, and ferry; or do a combination of bus, flight, and train. The time zone changes from Central Standard Time (CST) to Eastern European Time (EET), which is usually an 8 hour difference. Plan for slightly colder temperatures traveling from Kansas City in August, with highs in Helsinki at 69°F and lows at 53°F. Finish your sightseeing early on the 17th (Sat) so you can drive to Turku. Start off your visit on the 18th (Sun): gain insight at Turku Cathedral, admire the masterpieces at Ett Hem Museum, then step into the grandiose world of Turku Castle, and finally wander the streets of Naantali Old Town. Keep things going the next day: see the interesting displays at Waino Aaltonen Museum of Art, then pause for some serene contemplation at Archangel Michael's church, and then stroll through Vepsa Island. For maps, ratings, and more tourist information, read our Turku road trip planner. Traveling by car from Helsinki to Turku takes 2 hours. Alternatively, you can take a train; or fly. In August, daily temperatures in Turku can reach 68°F, while at night they dip to 51°F. Finish your sightseeing early on the 19th (Mon) to allow enough time to travel to Mariehamn. Mariehamn is the capital of Åland, an autonomous territory under Finnish sovereignty. 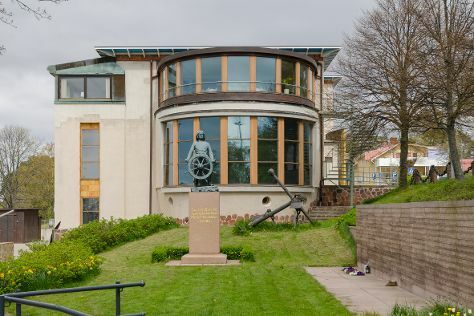 Start off your visit on the 20th (Tue): test your problem-solving skills at popular escape rooms, head off the coast to Kobba Klintar, then brush up on your military savvy at Aland Maritime Museum, and finally see the interesting displays at Museumship Pommern. Keep things going the next day: take in the waterfront at The Maritime Quarter, contemplate the long history of Jan Karlsgården Outdoor museum Jan Karlsgården, then examine the collection at Kastelholm Castle, then see the interesting displays at Aland Hunting & Fishing Museum, and finally steep yourself in history at Salis Batteri. To find other places to visit, where to stay, maps, and tourist information, you can read our Mariehamn day trip planning site . Fly from Turku to Mariehamn in 2.5 hours. Alternatively, you can ride a ferry. In August, daily temperatures in Mariehamn can reach 67°F, while at night they dip to 53°F. Finish your sightseeing early on the 21st (Wed) so you can travel to Kouvola. Kouvola is a town and municipality in southeastern Finland. On the 22nd (Thu), examine the collection at Kouvola City Museum, delve into the lush surroundings at Niivermaki Nature Conservation Area, then explore the striking landscape at Hiidenvuori, and finally identify plant and animal life at Arboretum Mustila. 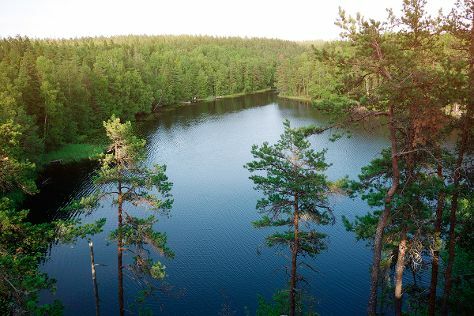 Get ready for a full day of sightseeing on the next day: explore the wealth of natural beauty at Repovesi National Park. To see reviews, where to stay, more things to do, and other tourist information, read Kouvola travel planner . Traveling by combination of flight and train from Mariehamn to Kouvola takes 4 hours. Alternatively, you can do a combination of ferry and car; or do a combination of ferry and train. In August in Kouvola, expect temperatures between 69°F during the day and 53°F at night. Wrap up your sightseeing on the 23rd (Fri) early enough to take a train to Imatra. 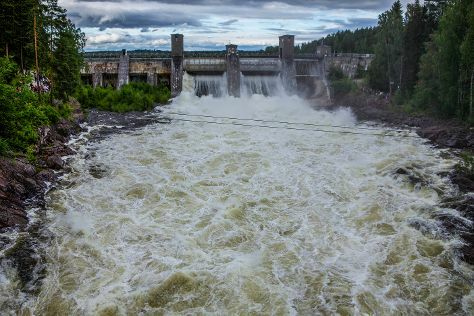 On the 24th (Sat), explore the activities along Siikalahti Wetland, kick back and relax at Lammassaari Island, then take in the architecture and atmosphere at Church of St. Nicholas, and finally admire the sheer force of Imatra Waterfall. Here are some ideas for day two: hike along Malonsaari, examine the collection at Lappeenranta Fortress, then explore the activities along Saimaa Canal, and finally pause for some serene contemplation at Nuijamaa Church. To see other places to visit, reviews, and other tourist information, go to the Imatra road trip tool . Take a train from Kouvola to Imatra in 1.5 hours. Alternatively, you can drive; or take a bus. In August, plan for daily highs up to 68°F, and evening lows to 53°F. Finish your sightseeing early on the 25th (Sun) to allow enough time to drive to Savonlinna. Start off your visit on the 26th (Mon): contemplate in the serene atmosphere at Kerimaki Church, explore the striking landscape at Punkaharju Ridge, then pause for some serene contemplation at Pikkukirkko, then step into the grandiose world of Olavinlinna Castle, and finally see the interesting displays at Savonlinna Provincial Museum. Keep things going the next day: explore the striking landscape of Kolovesi National Park. 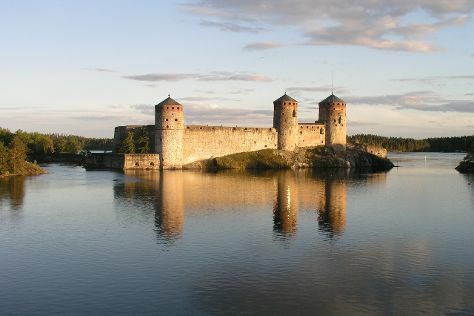 For other places to visit, maps, traveler tips, and tourist information, read our Savonlinna trip itinerary maker tool . Traveling by car from Imatra to Savonlinna takes 2 hours. Alternatively, you can take a train; or take a bus. In August, plan for daily highs up to 67°F, and evening lows to 52°F. Cap off your sightseeing on the 27th (Tue) early enough to travel to Kuusamo. Kuusamo is a town and municipality in Finland. On the 28th (Wed), explore the world behind art at Hannu Hautala Nature Photography Centre, take in breathtaking views at Kiutakongas Rapids, and then stroll through Pieni Karhunkierros Trail. Get ready for a full day of sightseeing on the 29th (Thu): explore the wealth of natural beauty at Riisitunturi National Park. For ratings, other places to visit, traveler tips, and tourist information, read our Kuusamo road trip website . Fly from Savonlinna to Kuusamo in 5 hours. Alternatively, you can drive; or do a combination of train and flight. In August, plan for daily highs up to 63°F, and evening lows to 48°F. On the 30th (Fri), wrap the sightseeing up by early afternoon so you can travel back home.